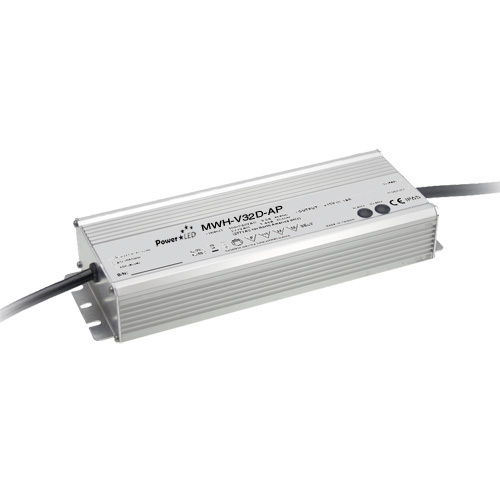 MWH-V32-AP is a 320.16W 24V 13.34A IP65 rated PFC LED lighting power supply with 90 ~ 305VAC wide universal AC input voltage. 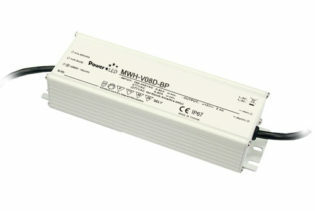 MWH-V32-AP is a 320.16W 24V 13.34A IP65 rated PFC LED lighting power supply with 90 ~ 305VAC wide universal AC input voltage. 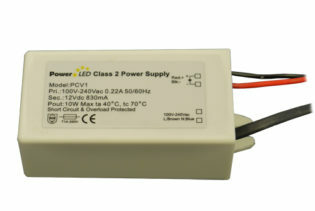 This LED lighting power supply has a rated output voltage of 24V and rated constant current level of 13.34A; both of which can be adjusted through the internal potential meter on the case. 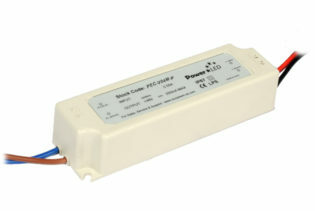 The unit is encased within a potting compound within a metal case, giving an IP65 rating and making it suitable to applications susceptible to dust or water ingress conditions. 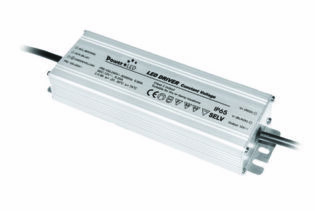 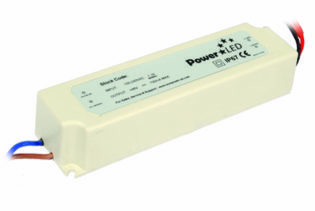 Standard features of this LED lighting power supply include short circuit, over load, over voltage & over temperature protections and the unit is designed to meet UL8750,TUV EN61347-1, EN61347-2-13 and emmisions to EN 55105, EN61547.